Apparently as a local music fan in the Williamsburg area I am in such a coveted demographic that companies keep giving me things for free. Consider for example shoe manufacturers. The House of Vans in Greenpoint has been throwing free concerts for a few years apparently as a marketing thing. Now it seems that Converse feels the need to grab some hipster mindshare. 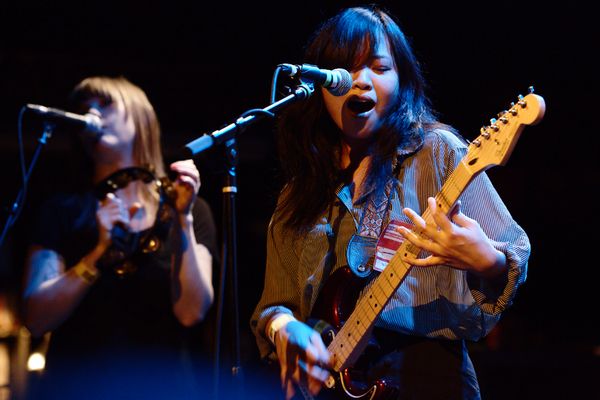 They have started their own concert series at the Music Hall of Williamsburg. Personally I am looking forward to the old-school rap concert series sponsored by Adidas. The best part is that at 37 years of age I am far too old to pay attention to their advertising so their marketing dollars are wasted on me. Wasted I say! Having said that this was a 16+ show (yes, sixteen and older) because these corporate types know very well who marketing works on. You would think that four good bands at one of the better-sounding venues in the area would be a crowd-pleaser and this show certainly did not disappoint. I was particularly glad that Vivian Girls sounded so good despite having been on a bit of a hiatus (I don't think they've played a gig together since last Summer). I'm not sure how many shoes it sold, but hey, thank you Converse! Please continue to give me free stuff! The bands played (and the photos above appear) in this order: Heliotropes, Eternal Summers, Widowspeak, Vivian Girls. 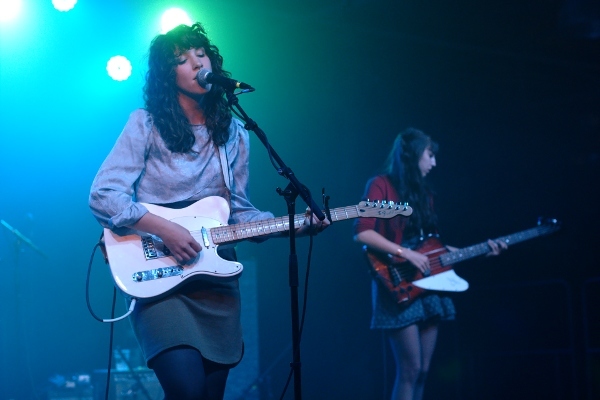 Widowspeak have added a member since the last time I caught them live. They do sound good as a four piece, though they did not play this gig with their regular drummer (who I see is explicitly described as "African American" on Wikipedia, perhaps because you can't tell from the photo of the band on Wikipedia?) While for the most part these guys just stand there and play, guitarist Robert Thomas really took advantage of the huge stage, possibly to train for the New York City marathon? 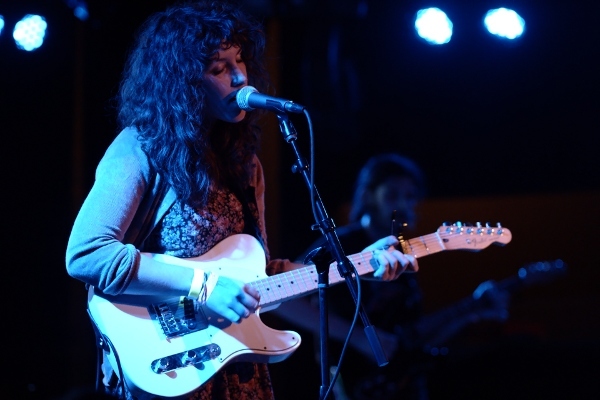 Having only seen Widowspeak's videos prior to seeing them live I was expecting something... mellower. Hell, let's be honest, I was expecting "easy listening", which is to say boring. Instead they turned out to be an actual rock band, more trippy than mellow, who mostly remind me of Love and Rockets. Oh, and in case you can't tell from the photos: no.